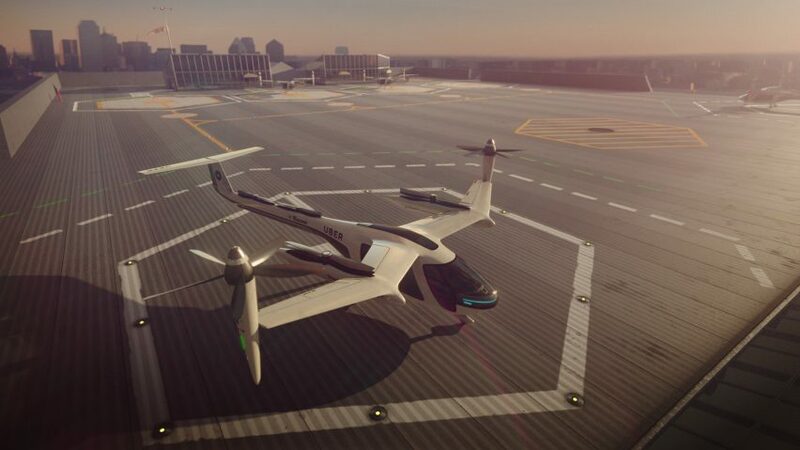 (Dezeen) Uber has partnered with NASA to develop an on-demand electric aircraft taxi service, which is scheduled to begin flights in Los Angeles in three years time. It will begin tests in Los Angeles in 2020, and subsequently Dallas, Fort Worth and (San Francisco). Spoken like a true tech enthusiast. But since when have libertarians had a problem with police? They're one of the few legitimate functions of a government. Those are the Saudis, not the Emiratis. This is a update on rail plans in China, ASEAN and across Russia to Europe. China is pushing ahead to more than double the current high speed rail network by 2030. There are some minor modifications to not fund some projects because of debt concerns. ASEAN (Singapore, Indonesia, Thailand, Malaysia, Cambodia. Laos) high speed rail projects will be completed over the next ten years. The frequency and volume of rail freight between Europe and China has increased by eight times over the last three years. China is making a multi-billion dollar push for more trade and connections with Eastern Europe. FRESNO, Calif. (Courthouse News) – Driving south on Highway 99 past Madera, a small agricultural town characteristic of California’s Central Valley, the yellow cranes jut out against the horizon. (Endgadget) Purely electric aircraft are still in their relative infancy. Hybrid aircraft, however? They're closer than you think. Airbus, Rolls-Royce and Siemens are partnering on a hybrid electric aircraft prototype, the E-Fan X, that will prove the mixture of conventional and electric engines will work. The demonstrator will modify a BAe 146 by replacing one of its gas turbine engines with a 2MW electric motor, followed by a second if everything goes smoothly. It's currently slated to fly sometime in 2020. The trio hopes that E-Fan X will quickly "mature" hybrid aircraft and lead to an honest-to-goodness commercial single-aisle aircraft. It could be a long while before you're flying aboard a hybrid jumbo jet, then, but this could lead to short-hop aircraft that consume much less fuel. And that's bound to be helpful in reducing not just emissions, but running costs. Carriers may have a vested interest in adopting these vehicles simply because they could improve the bottom line -- helping the environment would be a nice (if important) bonus. The artist rendering provided by Airbus on Tuesday, Nov. 28, 2017 shows an Airbus e-FanX hybrid test plane. Japan Airlines has made a $10 million investment and pre-order of 20 Boom supersonic passenger jets. JAL is helping Boom deliver something further: a mainstream supersonic airliner, which is practical, reliable, and economic. Their decades of experience as a world-class operator, expertise in everything from passenger experience to safety to technical operations will help us build an airliner not just with marquee speed, but also with the practicality required to truly change the way millions travel. The United States faces a looming crisis over its deteriorating water infrastructure, and fixing it will be a monumental and expensive task. In Los Angeles alone, about two thirds of the city’s 7,000 miles of water pipes are more than 60 years old — and nearing the end of their useful lives. Since the infrastructure portion of this thread is often a bit neglected. (Forbes) First, let me state that I am a huge fan of high-speed rail. My first experience with high-speed rail was on Taiwan's high-speed rail line in 2008 which shortened the time it took to traverse the island from five hours to two. My second was on my honeymoon when my wife and I traversed continental Europe on its clean and efficient high-speed rail network. However, I am also a student of Economics and I am fully aware of the realities that make the economics of high-speed rail far less attractive than they are in Europe and East Asia. Supersonic business jet company Aerion and Lockheed Martin announced a Memorandum of Understanding (MOU) today to define a formal and gated process to explore the feasibility of a joint development of the world’s first supersonic business jet, the Aerion AS2. Over the next 12 months, the companies will work together to develop a framework on all phases of the program, including engineering, certification and production. Aerion Chairman Robert M. Bass stated this relationship is absolutely key to creating a supersonic renaissance. The construction of the first section of the Thailand-China railway line officially began on Thursday with a ground-breaking ceremony in the northeastern Thai province of Nakhon Ratchasima. Once completed, the railway with a maximum speed of 250 km per hour will be the first high-speed railway in Thailand. Completion of the first section is expected to take six months. (Roads and Bridges) In 1947, when Interstate 10 (I-10) was built as a four-lane highway from Ontario to San Bernardino, Calif., it passed through a landscape of ranches, orchards, and open fields fringed with trees. Originally this section of roadway was assigned as U.S. 70-99, and in 1957 it was reassigned to become part of I-10, which stretches from Santa Monica, Calif. to Jacksonville, Fla.
Caltrans is releasing the new 2018 California State Rail Plan (and Appendix) which will provide an exciting new framework for planning and implementing California’s rail network for the next 20 years and beyond. The Rail Plan is a strategic plan with operating and capital investment strategies that will lead to a coordinated, statewide travel system. The creation of a railroad network in California in the 19th century connected us to the rest of the nation with what was then the highest-speed form of transportation. Continued rail investments in the 20th century helped California’s rapid economic development. For the 21st century, California is again poised to put “high speed” back in rail. By 2040, Californians will have access to an integrated, state-of-the-art rail system that will revolutionize personal mobility and enhance quality of life. From putting civil engineering on IMAX screens around the world to sending home a report card grading America’s infrastructure, ASCE (American Society of Civil Engineers) had a big year. Here is a look at the Society’s year through the most quotable of quotes. Audi Airomorph by Eric Kim. (MIT Management - Sloan School) In 2005, 66 million cars were sold worldwide. By 2025, Goldman Sachs predicts that number to increase to 112 million. What are the core issues addressed in this book? We have numerous sustainability challenges in today’s automotive, or mobility, industries. Our book, which looks primarily at urban mobility, is about understanding these challenges and looking for paths to improvement. For many people, the current solution is to own a car. You keep that car in your garage or in a parking space. Whenever you need mobility, you get in your car, go where you need to go, and look for parking. So how do we get people to use alternative modes — walking, biking, buses, trains, and subways? The answer is going to be driven by improving our mobility systems to encourage a significant fraction of people to get out of their cars. In order to do that, those alternative choices have to be made more attractive and useful using the CHIP architecture: increasing connectivity, heterogeneity, intelligence, and personalization. People should have a range of transportation options, such as bus, trains, and bike shares. "China’s 30 story tall air cleaning tower is a successful test for many 150 story air cleaning towers"
Poll First Year With Zero Airline Fatalities? "A Rebranded Hyperloop One Lays Out Preliminary Plans for India"